4/15/2019 Sydney Williams joins the Angelini Lab. 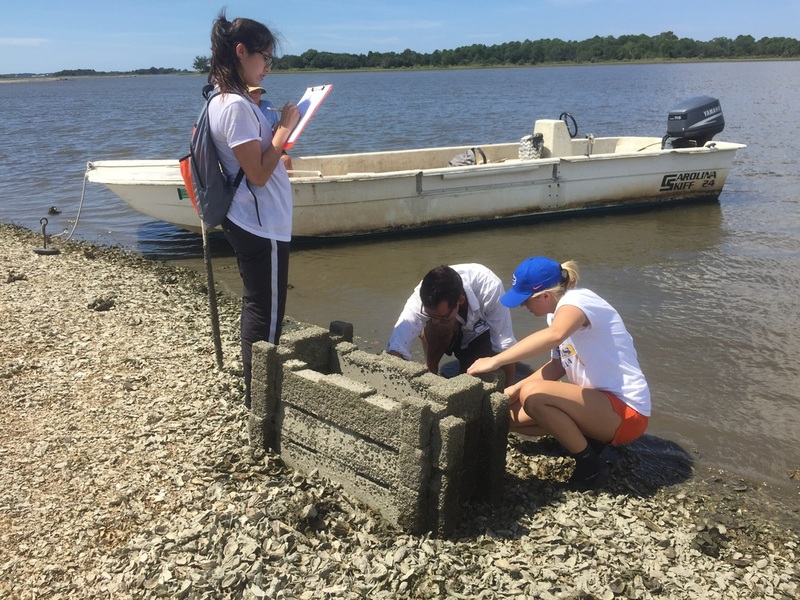 Sydney is joining us after working several years for the Georgia Department of Natural Resources and The Nature Conservancy and will be working in coastal Georgia studying the effects of plants and filter-feeding bivalves in influencing coastal water quality. 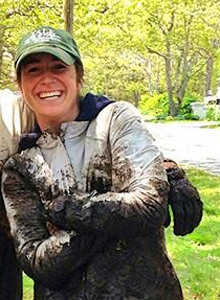 4/11/2019 Lab undergraduate Hallie Fischman is awarded an honorable mention for her poster on "Optimizing sand dune restoration with the Stress Gradient Hypothesis" at the 2019 Benthic Ecology Meeting in St Johns, Newfoundland! 5/1/2018 Stefano Barchiesi, fresh from the IUCN Water Program, joins the lab as a PhD student in the Water Institute Graduate Fellows Tempisque, Costa Rica cohort - welcome Stefano! ​PhD student Kim Prince is awarded Best Talk at the 2017 Southeast Society of Environmental Toxicology and Chemistry (SETAC) meeting in Brunwick, GA! ​Christine's new paper out in Nature Communications reveals mussels play critical role in enhancing salt marsh resilience to drought. For more, see the UF News press release or article in NSF's Science 360 News. ​Sean's research hot off the press in Hakai Magazine. ​New PhD student, Sinead Crotty as been awarded an NSF GRFP- welcome aboard!!! Lab super-tech Emma Johnson named HDR Engineering Undergrad Fellow- way to go!